If you've never thought about the insulation situation in your home, you might be surprised at how much of an impact some simple upgrades could make. Energy bills can be significantly reduced, your household's carbon footprint can be lowered and your house can be made far more comfortable. Here is a very quick introduction to the most important areas of the house that need to be sufficiently insulated. Heat transference is the process of either heat escaping from your building, or penetrating your living environment from outside. One of the key objectives of any insulation is to control this transference as much as possible. This helps to provide stable and comfortable conditions with your home. The majority of heat transference occurs in the walls in most houses, so it is often regarded as the starting point for improvement by almost all insulation services providers. The solutions that are available to you will be determined by the type of walls you have. 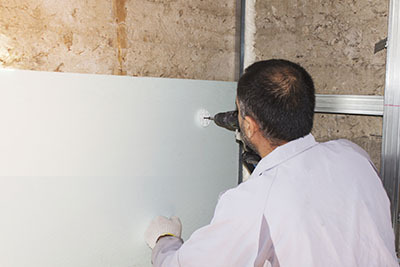 If you have hollow walls, it may be possible to install cavity insulation. If your walls do not have a cavity within them, your insulation will need to be solid on the inside or outside of the wall. In most cases the second most important area to insulate properly is the loft or roofing. There are two approaches that can be adopted. Warm loft solutions will aim to maintain your loft as room that is suitable for living in. This means applying insulation to the roofing. Cold loft solutions will focus more on insulating the floor of the loft. Warm loft solutions often cost more and take more time to install. Your windows and doors are often the third most important areas to target. Draughts are another way heat is lost from your home. And the windows and doors are the areas where daughters tend to occur. Double or triple glazing is incredibly effective at heat retention and noise dampening. At Air Duct Cleaning Torrance we provide ventilation services but also specialize in insulation services such as removal, maintenance and installation. Call us today to arrange a full insulation check-up and to find out which solutions are most suitable for your home.